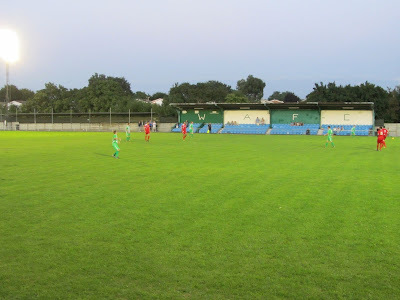 My seventeenth stadium of 2013 was on Tuesday 6th August 2013 at Capershotts in Waltham Abbey, Essex. 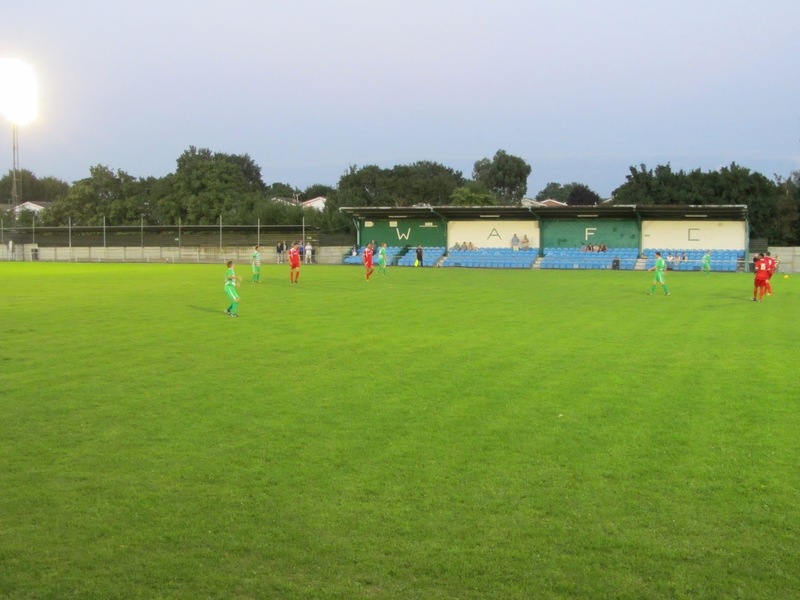 The match was Waltham Abbey vs. Grays Athletic in a friendly game. 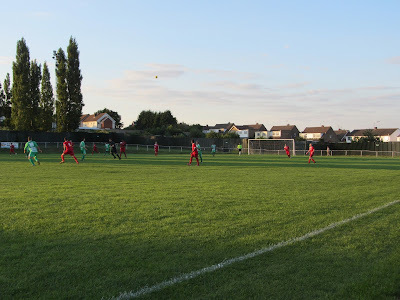 Capershotts is located to the south of Waltham Abbey town centre and is bordered by allotments and a cemetery. 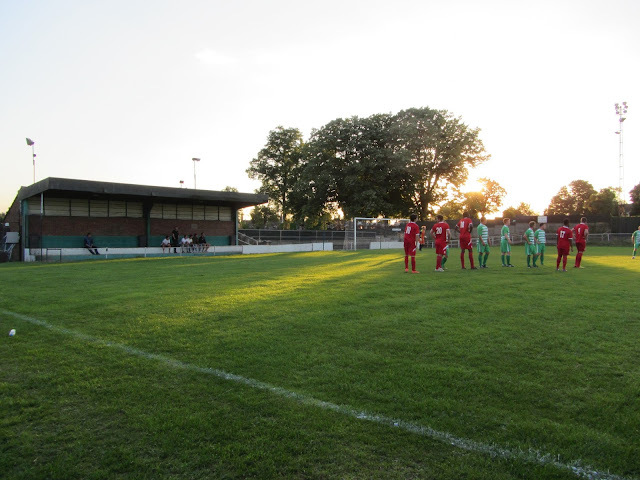 It is 1.7 miles from the nearest railway station at Waltham Cross and has been home to the Waltham Abbey since the club were formed in 1944. The south-east side of the ground contains the only all-seater structure in the venue. In 2005 a concrete terrace near the half-way line was converted with 200 seats from Manchester City's former home at Maine Road. The rest of this side is hard standing although the section next to the stand is covered. The opposite side of the pitch consists of uncovered hard standing. The dugouts can also be found on the north-west side. The area behind the goal at the south-west section of the ground has two concrete terrace sections - an uncovered stand sits directly behind the goal with a covered stand nearer the stadium entrance. This stand also backs onto the players dressing rooms. The area behind the goal at the opposite end of the ground is general uncovered standing. The game was a friendly match between Isthmian League Division One North side Waltham Abbey and Isthmian League Premier Division side Grays Athletic. The visitors were marginally the better side in a dull opening half but they made several defensive lapses allowing Waltham Abbey to have the best chances of the half. The Grays goalkeeper had to be alert to tip over a header from the corner mid-way through the half. The away side dominated the opening passage of play in the second period and spurned several great opportunities to score. They were made to pay for their profligacy in the 68th minute when the hosts took the lead. 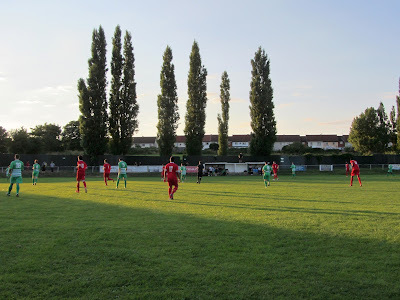 When Ayrton Coley picked up the ball with his back to goal there did not look to be any danger but he managed to turn the defender before unleashing a 25-yard effort into the top corner of the net. 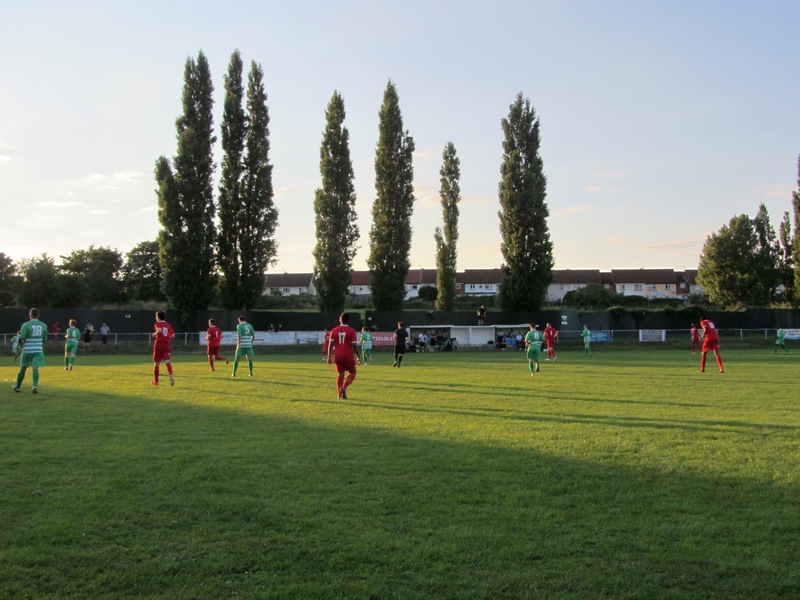 Grays attempted to get back into the game but despite getting in behind the home defence their final balls into the box were not good and they did little to trouble the home goalkeeper as Waltham saw out the remaining time to record a 1-0 victory.